The guys over at Gamestation.co.uk have a limited edition tin set that they are selling for the upcoming release of the Legend of Zelda Spirit Tracks. The set is priced at £39.99, while the regular value for reserving Spirit Tracks is £34.99, (currently on sale for £27.99). For Americans like myself, £39.99 comes out to just under $60. The tin set is dated the same day as the UK release date, which is December 11th, 2009. Spirit Tracks hits stores in North America on December 7th, 2009, and here at Zelda Dungeon we will be providing a Spirit Tracks Walkthrough shortly after the game is released. The tin set comes complete with the following. 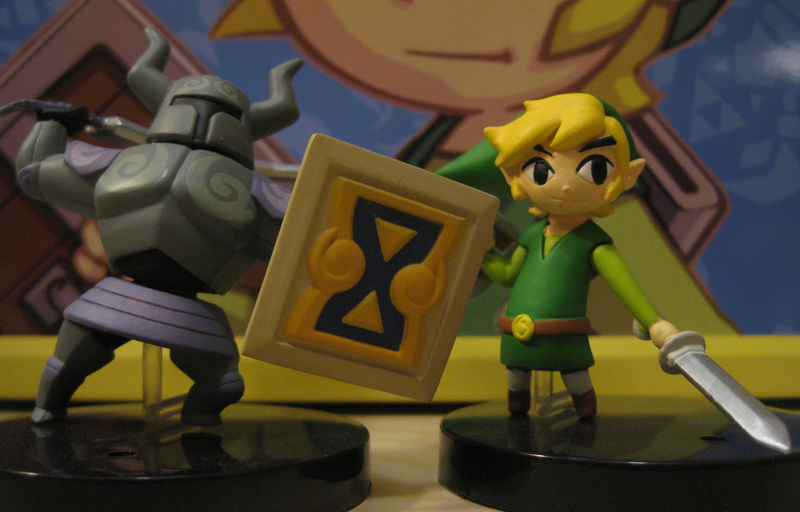 I found a high quality picture of the figurines over at our affiliate, Zelda Universe. Click to get a bigger image.